Join the fun of this weekend holiday kickoff. 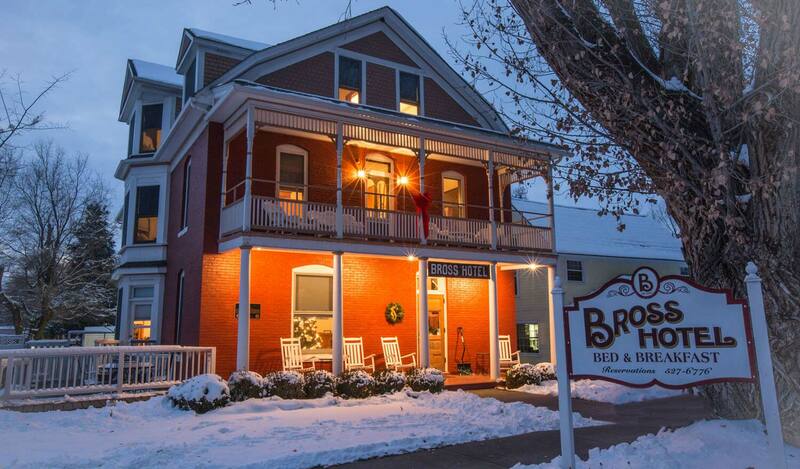 Let the Bross Hotel host your holiday guests, Or, get away from the hustle and bustle of the season and retreat at the Bross. It doesn’t matter why you stay at the Bross Hotel B&B, you’ll get special rates during December. A stay of one night will be at our regular winter rate. Stay two nights and you get a 20% discount. Stay three or more nights and the savings are 33%. We look forward to being your host for the holiday season. This entry was posted in Uncategorized and tagged getaway, Special Price by admin. Bookmark the permalink.